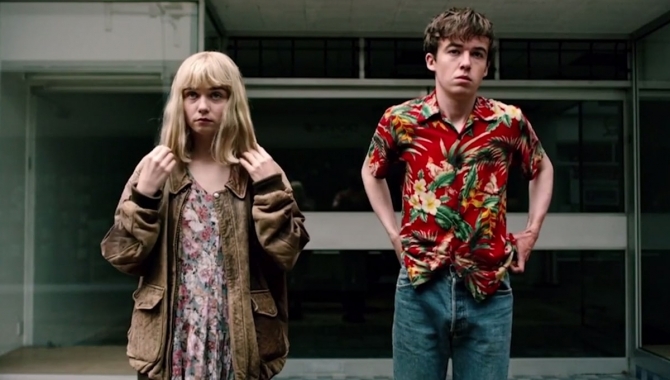 "It turns out Netflix's best indie film is actually a TV show"
If you're looking for a quick binge, might I recommend the excellent British series The End of the F***ing World? It's a quick eight episodes, with no episode longer than 22 minutes (seriously, it absolutely flies by), with two spectacular leads and a compelling plot (that skews very, very dark). I went into the series not really knowing what to expect and came out the other side thrilled that I gave it a go. For those who haven't started the series, a bit of background. 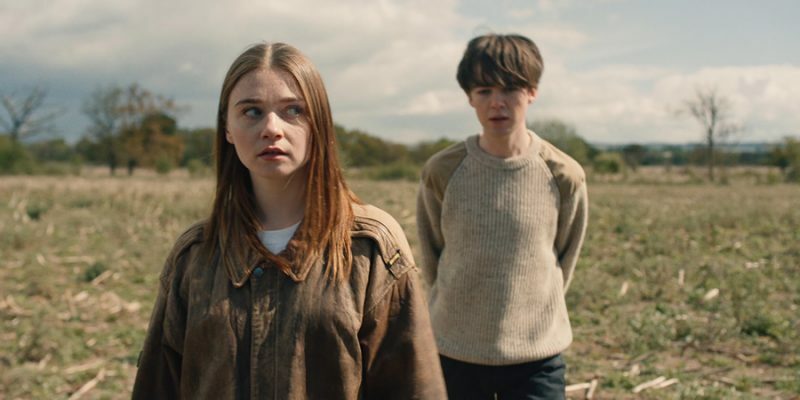 The End of the F***ing World aired in the UK last fall, and just dropped on Netflix this past weekend in the US. The story follows James (a restrained and complex Alex Lawther, best known from Black Mirror's controversial episode "Shut Up and Dance"), a seventeen-year-old who thinks he's a psychopath, and his fellow classmate Alyssa (Jessica Barden, who wonderfully captures the angst and confusion of being a teenage girl) as they go on a trip throughout the south of England. The series appears to be , at least on the surface, an indie romcom, where two teens mad at the world connect over that shared apathy, but it takes a sharp turn in a completely different direction in the third episode. From there, it continues to twist and turn, as the audience roots for James and Alyssa to discover a way back out of the predicament they find themselves in (even as we realize there is only one way this story can ultimately end). There's also a great performance from Game of Thrones's Gemma Whelan (emotionally layered in a way you don't expect after watching her as Yara Greyjoy for years) that anchors the other side of the plot, and adds to the conflicting feelings you will have about James and Alyssa's possible futures. While I can't get too deep into the idiosyncrasies of the series's narrative (and, I hope against all hope this show turns out to be a one-off, with no additional seasons to follow, as it strikes just the right tone upon its final moments), I do want to touch on what the show does exceptionally well: allow its teenage characters to simply be teenagers. Yes, both Lawther and Barden are in their twenties, but James and Alyssa feel so clearly like seventeen-year-olds it's uncanny. Their naivete shines through their forced bravado. It's incredibly easy to understand how both characters end up embroiled in the situation they find themselves in. Sure, they aren't remotely blameless, but each step toward the series's inevitable ending is clear- these are two people who think they understand life, love, and adulthood, but really, they are just kids, no matter their numerical age. I feel like I should offer a bit of a warning as well: this isn't a cheery comedy. It isn't even a dark comedy. Yes, it can be really funny, but it's the darkest of dark comedies I've ever seen. So, if you're looking for a light-hearted, fun binge, this might not be for you. But it's got a hell of a heart at its center, and you will genuinely care for these two teens by the end of the series. And, you'll also care for Whelan's Eunice Noon as well. The End of the F***ing World is smart, well-acted, and a brilliantly crafted two and half hours of TV.